Some brokers have a knack for touching on the really important strategies that agents need to utilize to stay at the top of their game. One of our amazing customers, broker Lisa DiBernardo is an extraordinary example of that kind of broker. We caught up with her to learn what she is doing to thrive in her market and what you may want to do to get the same kind of great results she is getting. A: You’re welcome. I became licensed and started working as a full-time real estate agent in 2004. Before that, I worked in the computer industry for about 24 years, the last dozen or so years managing network engineering and desktop support units. I think my background and my education, I have a Bachelor’s Degree in business, has helped me succeed and get where I am today. My experience with project management and logistics has been incredibly helpful. Three years ago, I opened my own brokerage and it’s the best thing I’ve ever done. I love it! I work in both residential and commercial real estate and have completed the sale and/or leasing of a wide variety of properties; single family homes, multi-families, condos, town homes and vacant land, as well as office, industrial and retail transactions. On the personal side I am a New Hampshire native, I have one daughter, a fiancé and a naughty cat named Rondo. I love New England and the beautiful seasons we are blessed with, even though it gets mighty chilly in the winter! 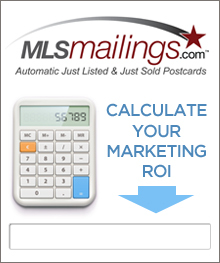 Q: From your Master Marketing Schedule entry – I love that the Just Listed/Just Sold postcards are your go-to marketing tool. They are a time-tested favorite! Tell me why they work for you? A: I send them out for every single listing I take on. I think it shows my farm areas that I am not only active in their neighborhood but that I am successful at getting property sold. I supplement with other types of postcards too. Sometimes I’ll send out Under Contract or Pending cards and last month I sent out the football schedule cards for the first time. I also use traditional advertising to help build name recognition in my market area. 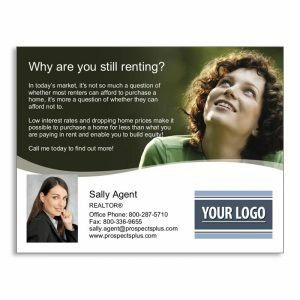 Q: You also use the Listing Inventory postcards, which are another favorite for agents. What drew you to them? A: I want to keep sending out “something” each month, whether I have new listings in my farm areas or not. So, I supplement with the listing inventory cards and other types in-between listings to keep my name and company in the front of their minds each month. Q: What are some strategies you use to stay top of mind with your sphere and farm? A: I stay in touch with my sphere by calling and/or emailing at least once a quarter and as I mentioned above, I send something to my farm areas every month. I’ve been contemplating starting up a newsletter for my sphere and sending that out quarterly. I’ve just been waiting for the market to cool off a bit, so I can figure out the best way to do that and maybe utilize a new technology that I haven’t used yet; maybe a mailing service or social media. Q: One of the hardest things for agents to do is to follow up on their marketing. Do you have any words of wisdom for those agents? A: Well, it is a tough thing for most people. It’s tough for me too! But getting out there in the neighborhoods you farm and making face-to-face connections is the best way for them to remember you and it makes it personal. I know some people make cold calls, but I don’t. I only call the people in my sphere or people they refer to me. It’s too time-consuming to try to figure out who is and isn’t on the do-not-call list for cold calls. I’d rather pick a nice day and walk around the neighborhood with door hangers. Q: What sets you apart from your competition? A: Well I like to think it’s my ability to follow-up in a timely manner and my professionalism. I have a personal rule that no call or email goes unanswered for more than an hour, even if it’s just to say, “Hi, I received your message but I’m at an appointment right now. I’ll be back in touch soon.” I also think it’s my use of technology; it’s a strength of mine from my past career so I find it easy to develop and manipulate documents electronically and I’m able to use my phone for the majority of my work. Q: It’s a busy time in our business. Any advice for agents in regard to finding some balance in life? A: You have to carve out down time or maybe it would be better described as offline time. I try not to answer the phone or do work after 8pm and I don’t work Sundays unless I absolutely have to. Of course, if there’s a negotiation in play, I’ll work all night long! But I need to have at least one day off each week to unwind and to spend with my fiancé and family or I don’t feel balanced at all. A: They can call me directly at 603-809-3399, email me at lisa@dibernardorealestate.com, use my contact page on my website, www.dibernardorealestate.com or stop by my office at 100 Derry Street, Hudson, NH 03051. Thank you! Awesome Lisa! Thank you so much for sharing your strategies with our readers! If you’d like to learn more about Lisa – visit her website and connect! 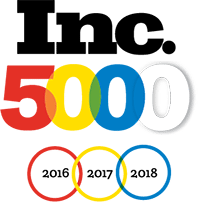 If you’d like to learn more about the marketing tools she’s using to stay ahead of her competition – connect with our marketing team at 866.405.3638 today! Be like Lisa! Jump into the contest! One thing we know for certain is that agents LOVE to learn from other agents. What works, what doesn’t – and what strategies help real estate professionals stay in this business for the long haul, and thrive while they are at it. We caught up with one of our amazing customers recently who shared what he’s doing to make a difference in his business. A: My name is Kyree Gilliam, I’m a REALTOR with Coldwell Banker Gene Armstrong Inc. in Inglewood, CA. I’ve been a licensed REALTOR since 2006. I’m also a single parent. Q: You entered the Master Marketing Schedule contest – can you share your favorite strategy and what you think this tool can do for agents? A: My favorite strategy to use is the ProspectsPLUS! Expired postcards. I like to use the drip method to get in front of new potential clients. This tool is great because it helps with getting you exposure in your market area and it’s easy to set up and use. Q: What’s your go-to form of marketing in this competitive business? A: My go-to form of marketing in this business is to use social media, monthly postcards from ProspectPLUS! to my farm area and SOI. The expired leads are another form of go-to marketing in this competitive business because the client is ready to sell. Q: Many agents neglect building a book of business and follow up. What advice would you have to share with them about why those two things are so important? A: By having an online CRM in place with different drip campaigns set up for each individual client to meet their needs of the task they’re trying to accomplish. It helps to have these things in place because in this business you’re going to need something to help keep you on track and on point at all times with your clients. A: I think what makes me unique in my market is my marketing with ProspectPLUS! and being a tech-savvy agent and the use of social media. Q: We like to give agents reasons to have some fun with their marketing? Do you have any fun ideas that help you stay on track and motivated to stay out in front with your sphere and farm? A: My fun marketing ideas include, personalized hand sanitizers, calendars, and pens with company logo and all of my contact information on all items. Also by keeping track of the seasons you can send or pass out things to your farm area. What a great way to get that face-to-face with a potential client in your farm area. A: My one good piece of advice to a new agent is that YOU CANNOT BE A SECRET AGENT. Get affiliated with a good office that has support, technology and a good training program in place and tools for the agents to use. A: If any agents have a referral for me I’m easy to get in contact with via: Facebook- Homesbykyree, Twitter- realtorgilliamk, Instagram- realtorgilliamk, www.kyreegilliam.com. Thanks Kyree! You’re awesome. Follow Kyree online to learn more about his business. If you’d like more information on how to stay on track with YOUR marketing, contact our team today at 866.405.3638! Be like Kyree! Jump into the contest! Back in the DAY…(ever notice how people always say that about what they did ions ago?) I used to love working with First Time Home Buyers. They were excited, eager, a little nervous and usually very appreciative of an agent’s experience and help. Today’s consumers (even the newbies) are a lot more savvy than they used to be but I still find this niche a great source of prospects (and referrals) for agents today! One great way to attract First Time Home Buyers is by hosting Home Buying Workshops in your market. Many agents find that holding them at the local libraries, schools (many PTAs or PTSAs would be happy to include a segment in one of their meetings for valuable information!) In many areas, you’ll find clusters of higher end apartment complexes that you could easily target for first time home buyers. 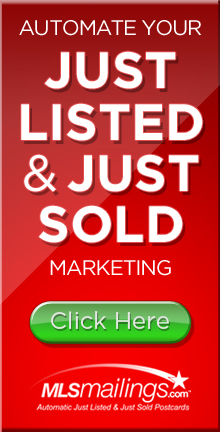 You can even use our mailing list options to specifically search for high-end renters and create a marketing database to connect with this demographic. Couple up with a mortgage lender and real estate attorney to help spread the word and bring more value to the table. I’ve even known agents who invite local restaurants (especially start ups that are trying to market themselves as well) to bring in sample appetizers or refreshments in return for letting them share their contact information or coupons as well! In today’s world, this kind of smart, intuitive shared networking is making a big difference for a lot of agents. successful workshop! We’ve even got ready made postcard invitations that you can send out in a matter of minutes! It’s easy to use and easy (and free) to get! Click here to go to our Resource Page – scroll about half way down the page until you see “Free Consumer Workshops” – then just click download! Easy, breezy! While you’re there – also download “How to Save for a Down Payment” which is a great piece to share with those folks who WANT to buy but aren’t quite ready to just yet. Having your mortgage lender there will be very beneficial as you can help folks sort out where they are NOW in relation to what they need to purchase a home. Be sure to get everyone’s contact information – then put them on a drip direct mail campaign every 30-45 days so that when they are ready to purchase – they’ll know JUST who to call. Our First Time Buyers Series is perfect for that. They really speak to the questions that these folks already have in their heads and keep you top of mind. I always like to use the alternative back on the postcard to write a little more information and create some calls and response by offering a free list of homes, list of foreclosures, additional home buying tips, local school information, etc. All great reasons for them to stay connected with YOU! If you are hosting an event in your market – be sure to share that information on your social media networks, and in the rental communities you are targeting. And if this is the demographic you want to OWN in your market, consider setting up a Facebook page so that you can really continuously share news people can use relating to buying a home and your market. Don’t JUST talk business though! Share information about your local economy, schools, community garage sales, tips about new restaurants or businesses in the area. You can spotlight standout community leaders, kids who are making a difference, teachers, local heroes, specials you run across, testimonials from happy customers and more! Need help getting started? Call our team at 866-405-3638 today. They’re smart, knowledgeable, friendly and here to help you suceed! This Contest is Getting Serious! The Entries for the $10K REALTOR Contest are Rolling in. Grab your copy of the Master Marketing Magazine and pull out the Master Marketing Schedule poster. If your calendar is missing or you didn’t get your magazine, you can request an additional copy at blog.prospectsplus.com/magazine. We’ve noticed some folks are posting the downloadable schedule from our blog schedule page, but the official rules call for you to use the actual poster. Hang your poster on the wall or in your cubicle. Take a photo or video (like Vickie Nagy did — from her mobile office!) of you with your Master Marketing Schedule poster, and be sure to get in the shot! Check out Vickie’s post as a great example. Go to www.facebook.com/ProspectsPLUS, and tell us your favorite strategy from the schedule in your Facebook post, you’ll find we have strategies for each week, and a monthly tip as well in the calendar. Choose the ones that most resonate with you and share how you’d use it in your marketing. Be specific, as Helene did! Remember – the schedule, you, and your strategy all have to be included to be a contender. Have some fun with it! Our judges will base their decisions on creativity and originality – so don’t hold back! Entries must be submitted by 5:00 pm Eastern Time on November 10, 2017. See who your competition is at blog.prospectsplus.com/entries. For full contest rules and conditions, go to blog.prospectsplus.com/contest-official-rules. Get in the running! Go to www.facebook.com/ProspectsPLUS, TODAY! Why use the Master Marketing Schedule? Our customers tell us it takes the stress out of deciding what to do each month to stay in front of their sphere of influence, geographic farm, and niche markets. They also tell us it helps them stay on track so that their marketing doesn’t slip through the cracks during these busy buying and selling seasons. It’s what we designed it to do! Help agents grow their businesses with more ease and less stress. If you need help with your marketing, please call our support team at 866.405.3638. That’s what they do best!